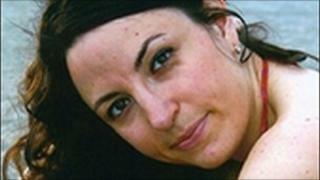 Benedetta Ciaccia was two months away from her wedding when she was killed in the Aldgate bombing on 7 July 2005. The Italian-born business analyst, who was 30, lived in Norwich with her fiance Fiaz Bhatti. She commuted to London every day to her job at Pearson Publishing in The Strand, taking a train to Liverpool Street and then a Circle Line Tube. She suffered devastating injuries when the bomb detonated and the inquest was told that nothing could have been done to save her. Ms Ciaccia was originally from Rome and the eldest of three sisters. She moved to the UK in 1995, and initially worked as an au pair for a family in Gravesend, Kent. Jonathan Clay, whose children, Bridie and Megan, she cared for, described her as "a funny, lovely, elegant and very intelligent young woman". "Our children could count in Italian before they could count in English. Megan has been an accomplished pasta cook since the age of three," he said. Ms Ciaccia later worked in bars and restaurants, before moving into publishing at the Financial Times and eventually at Pearson Publishing and DK Publishing. She had been studying for a foundation degree in computer studies at Birkbeck College, and was awaiting the result of her final exam when she was killed. Her father Roberto told the inquest that she was "a beautiful, sweet, Italian girl who greatly loved life". "All she wished for was to have a family of her own with many children, which she dearly loved," he said. "This dream was about to come true. On 11 September 2005, she would have got married." When Ms Ciaccia went missing on 7 July, it was the beginning of an agonising week for her fiance, who walked the streets of London with a home-made missing person poster. Hopes his wife-to-be was still alive evaporated and her death was finally confirmed on 16 July. Mr Bhatti said at the time "She was strong and independent and she loved to travel and socialise. We hadn't had a chance to travel together and the honeymoon was to be our first trip. "We planned to go to Sardinia and Corsica. It was going to be the start of a wonderful married life together." Ms Ciaccia's body was flown to Italy for her funeral and she was buried in Rome in her wedding dress. For the occasion the council put posters around the city, saying: "Benedetta, Rome hugs you". To commemorate her life, Birkbeck College and Pearson Publishing established a fund to provide financial support to students in need. Her father also exhibited three poems at the inquest that had been written in her memory, one of which was entitled, "Benedetta, an angel in heaven".